Hello my lovely friends 💕 Thanks for stopping by. 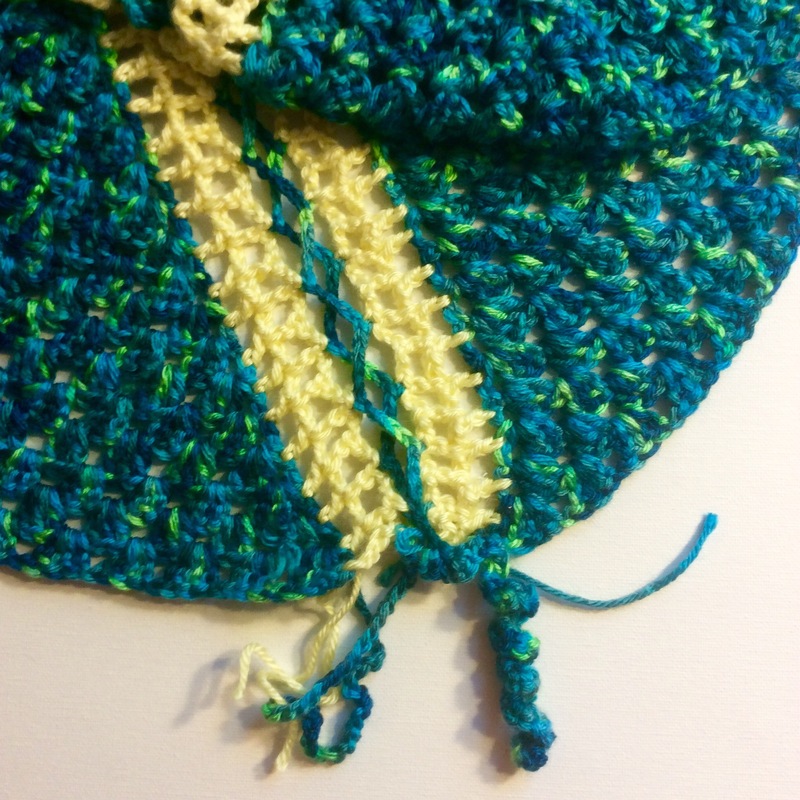 Today I’d like to show you two stitches that are great for blankets and scarves/shawls. 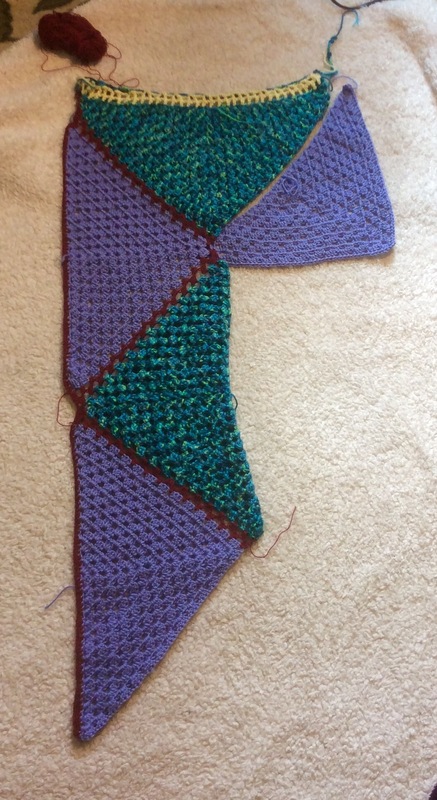 Repeat Row 2 until the desired length. Well, one thing is sure….it is ‘simple and pretty’ 😊 Right?! 2. 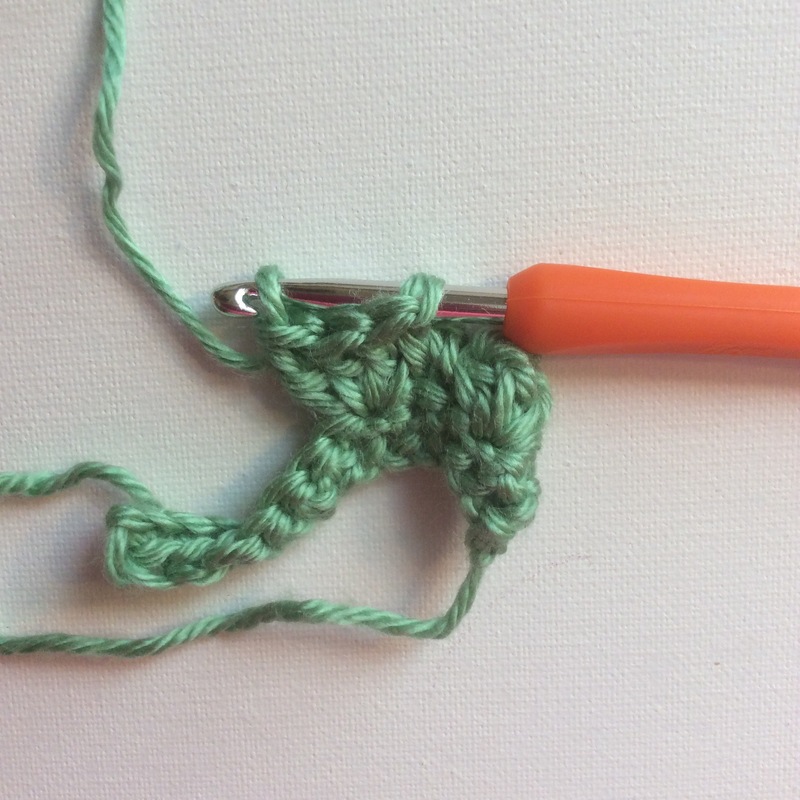 Turn your work around, insert your hook into the 2nd stitch from the hook…yarn over, pull backwards and leave the loop on the hook = 2 loops. Repeat to the end of the row. 3. 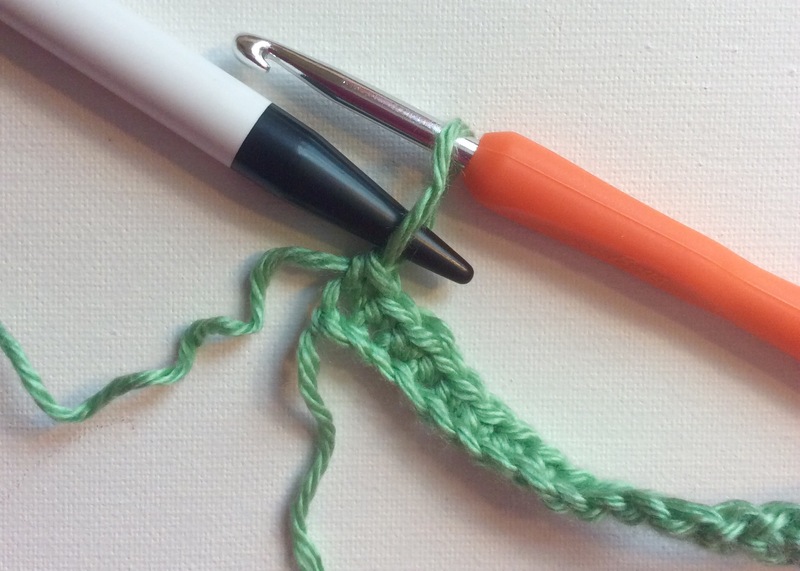 Ch 1, yo, pull the yarn through 2 loops from the hook – the ‘active one plus one. Keep going, 2 loops at a time to the end of the row. 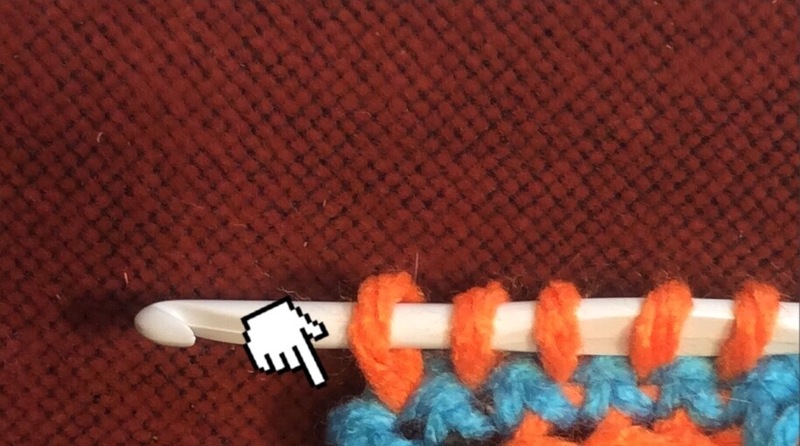 You now have one loop on your hook. 4. 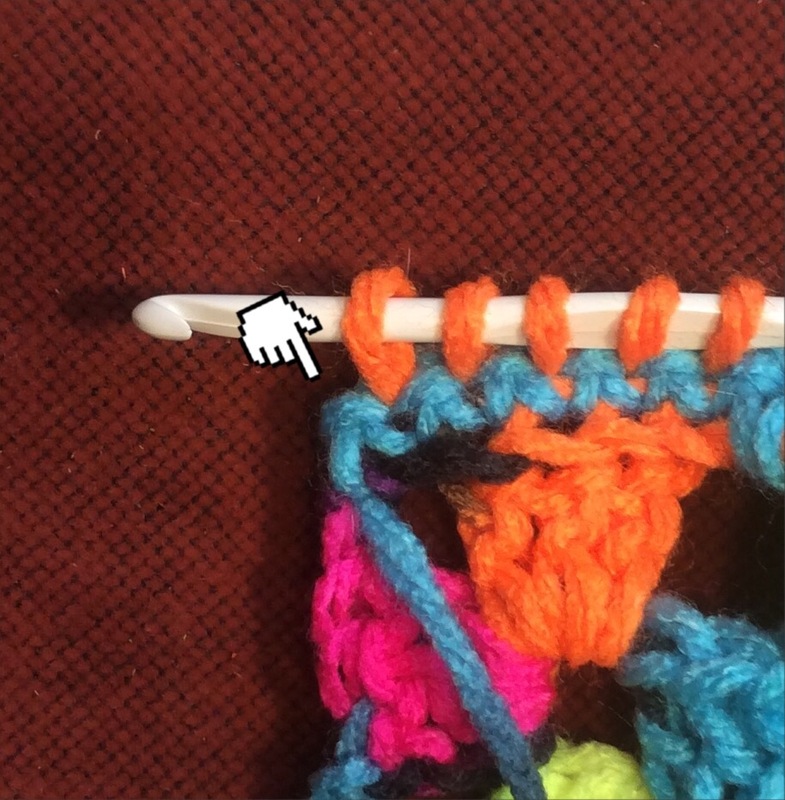 Place your hook under the first vertical bar, and pull the yarn through. Leave the loop on the hook, continue to the end of the row. And again, 1 ch, then combine 2 loops until you have one left. Hello my lovely friends 💕 How very lovely of you to peek in! I need mine for the daily walks I take with my dogs. In cooler temperatures there is no lack of ‘storage room’….I only buy jackets with big pockets. 😁 But now that it’s getting warmer out there I found myself in a bit of a pickle. Pants pockets just won’t do it. 1. 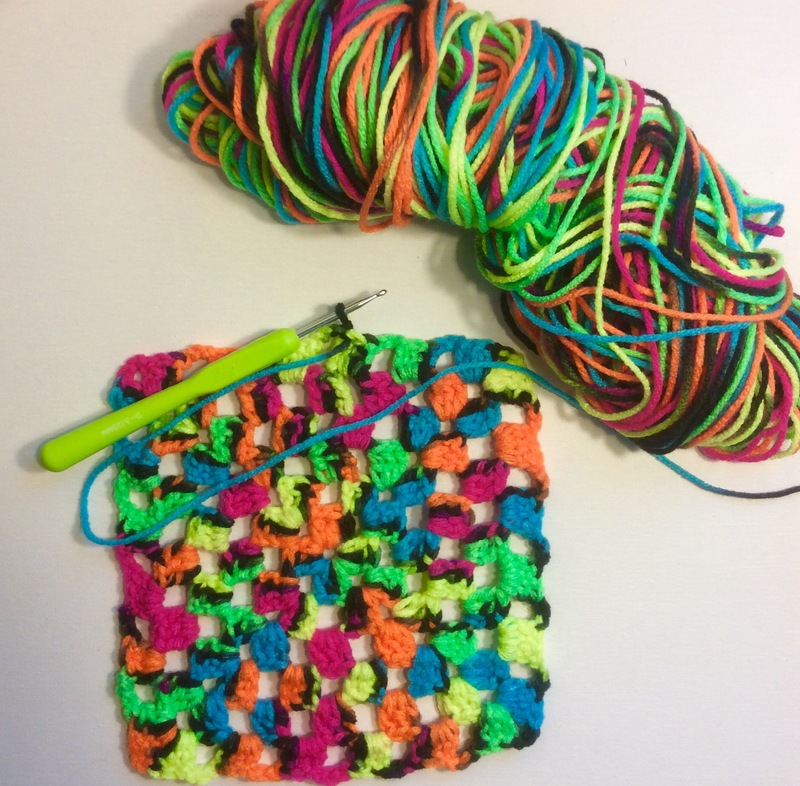 Start by crocheting 2 ‘Granny Squares’. 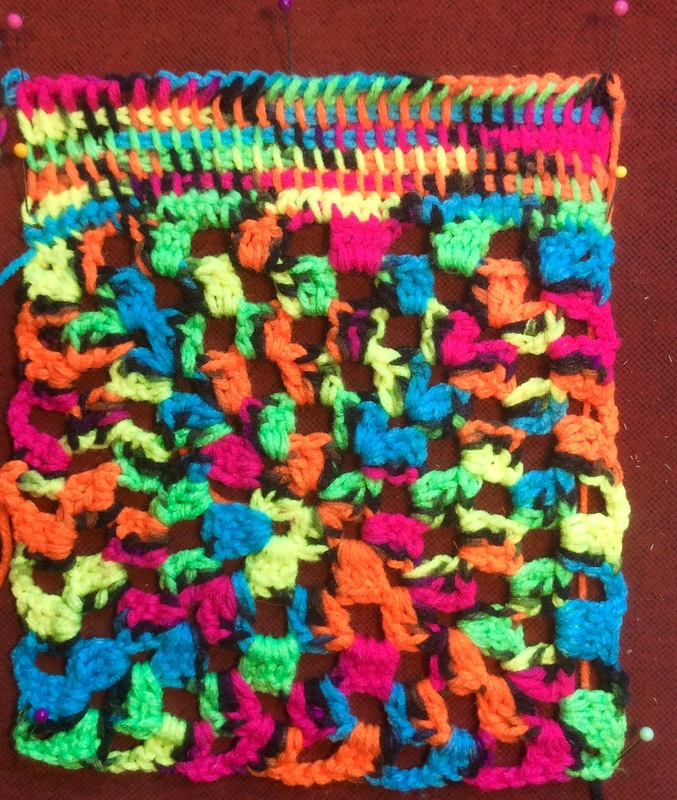 The upper border is a few rows of ‘Tunisian’ (Afghan) Stitch. Plus I finally know what this ‘Hook on steroids’ is for! 😂 It was in a bundle of knitting needles I picked up at a Thrift Store, and I’ve been wondering about it since. 2. 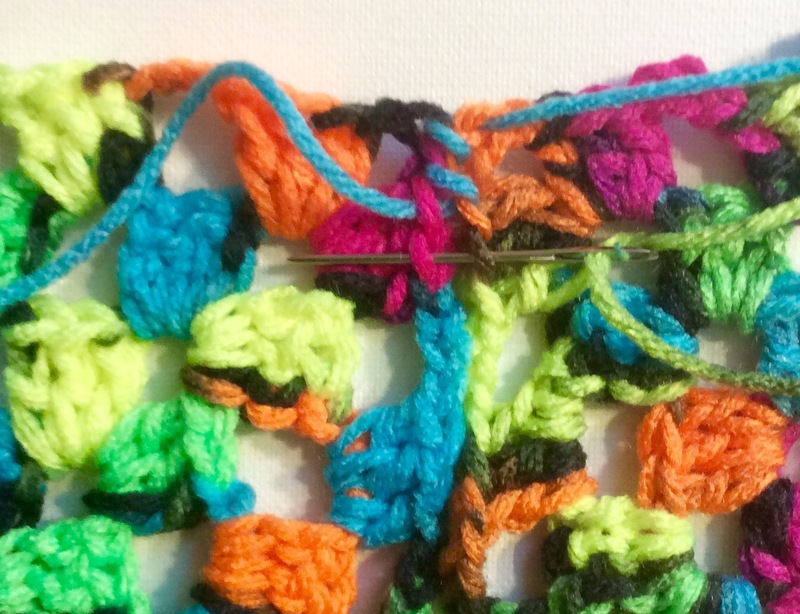 Okay….back to the ‘Tunesian Stitch‘. 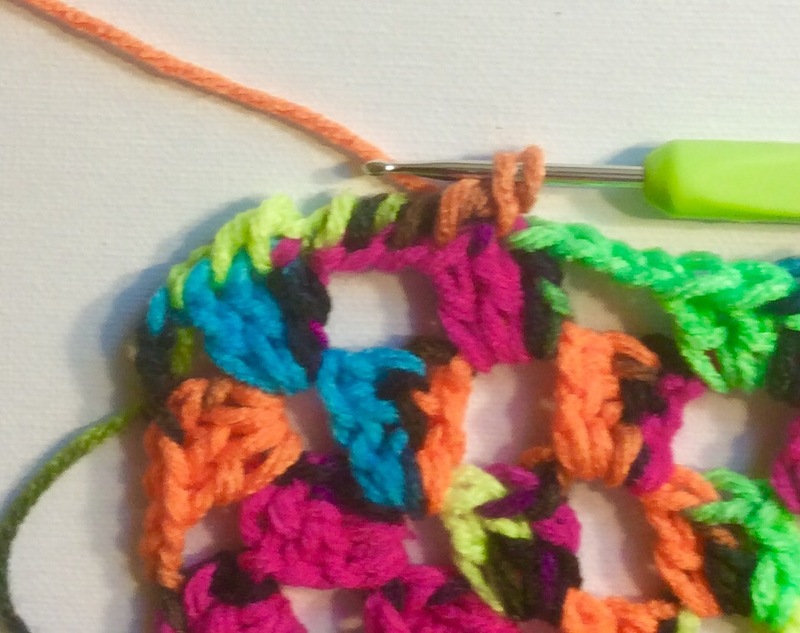 Pick up stitches on one side of your square. 3. 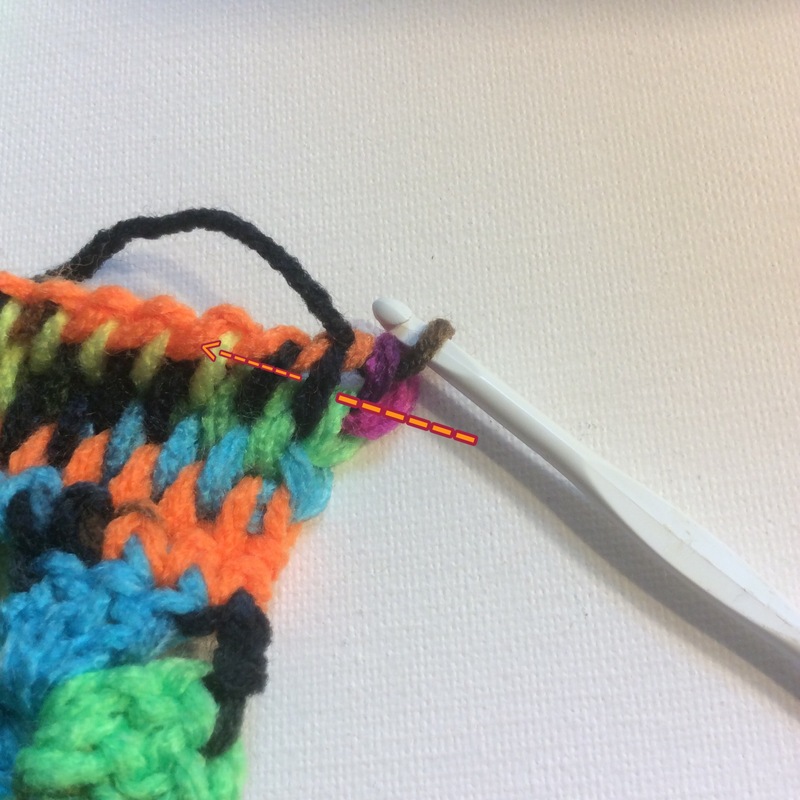 Turn your work around, insert your hook into the 2nd stitch from the hook…yarn over, pull backwards and leave the loop on the hook = 2 loops. Repeat to the end of the row. 4. 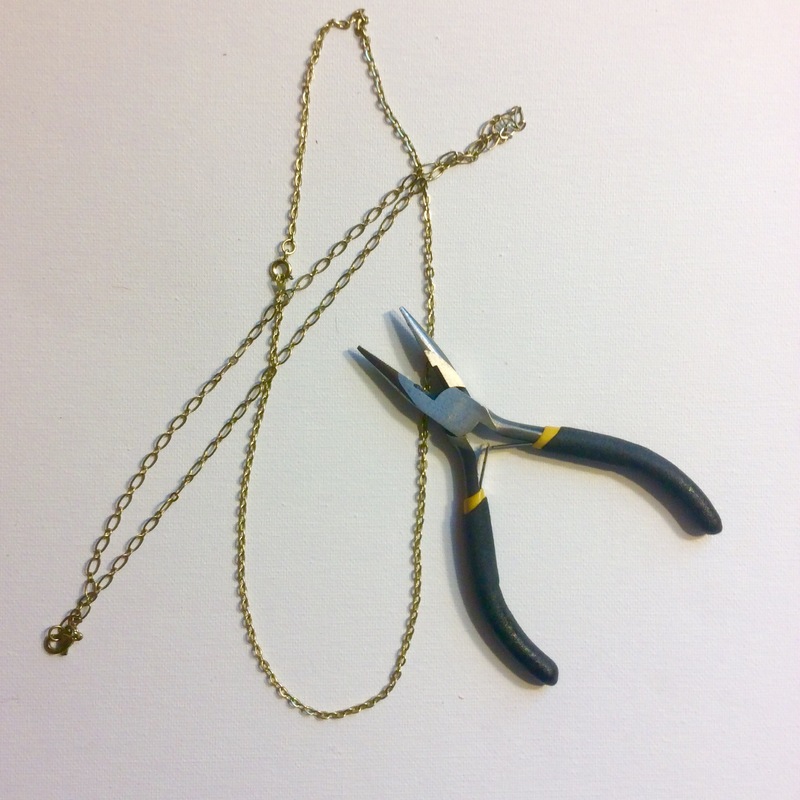 Now…don’t turn your work! 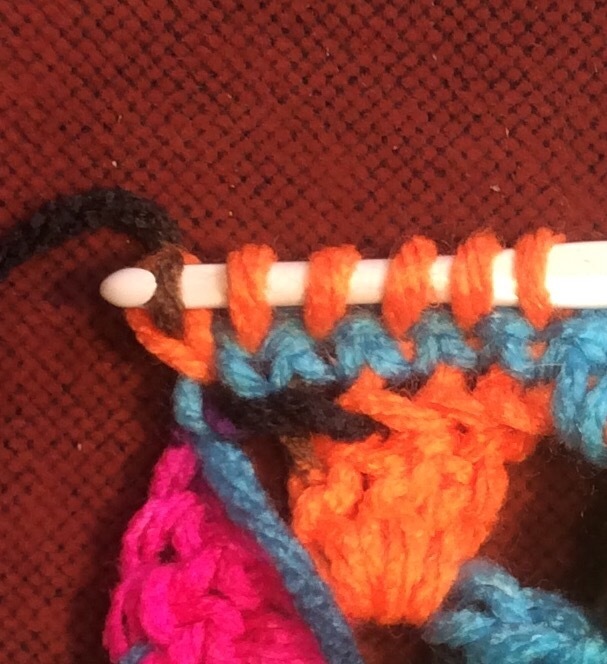 …then pull the yarn through 2 loops – the ‘active’ and the next one. Keep going, combining 2 loops until there’s only one left. 5. 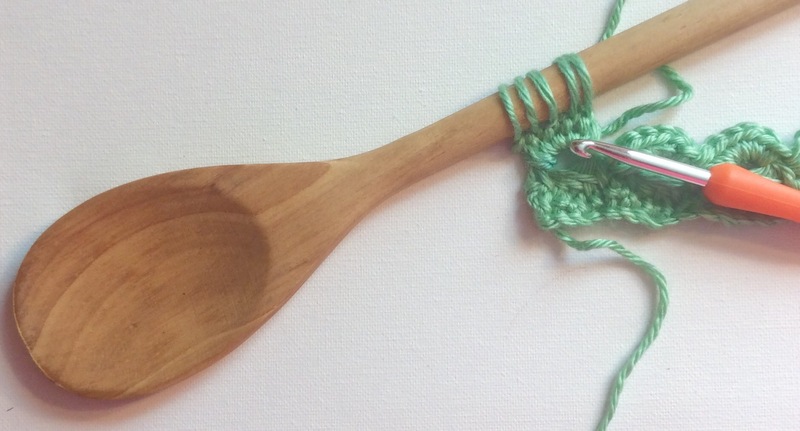 Now place your hook under the second vertical bar, hook and pull the yarn through. Leave the loop on the hook and continue on like before. 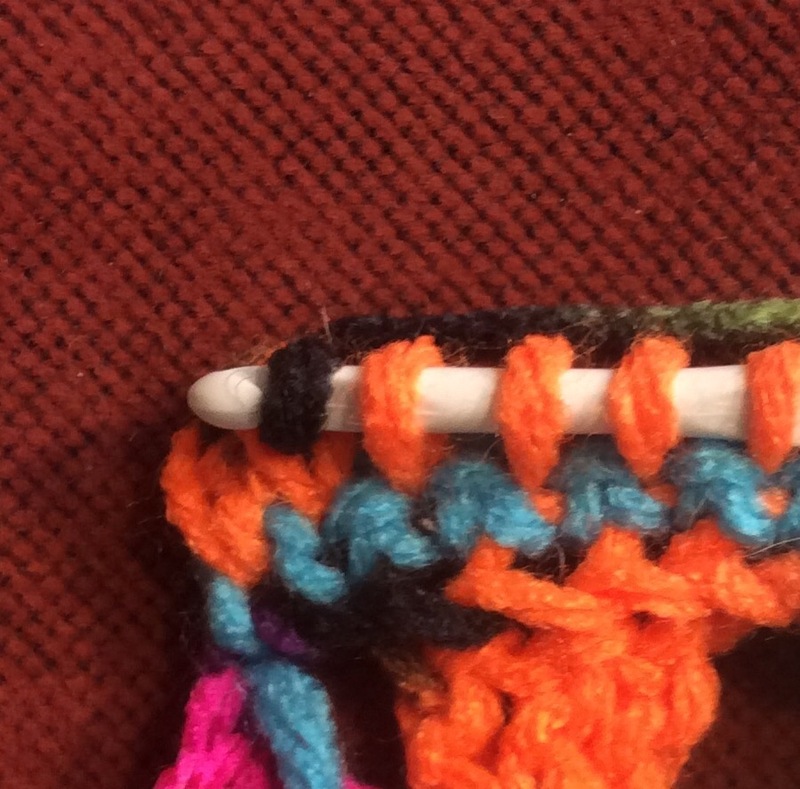 The last stitch goes into the very last vertical bar. 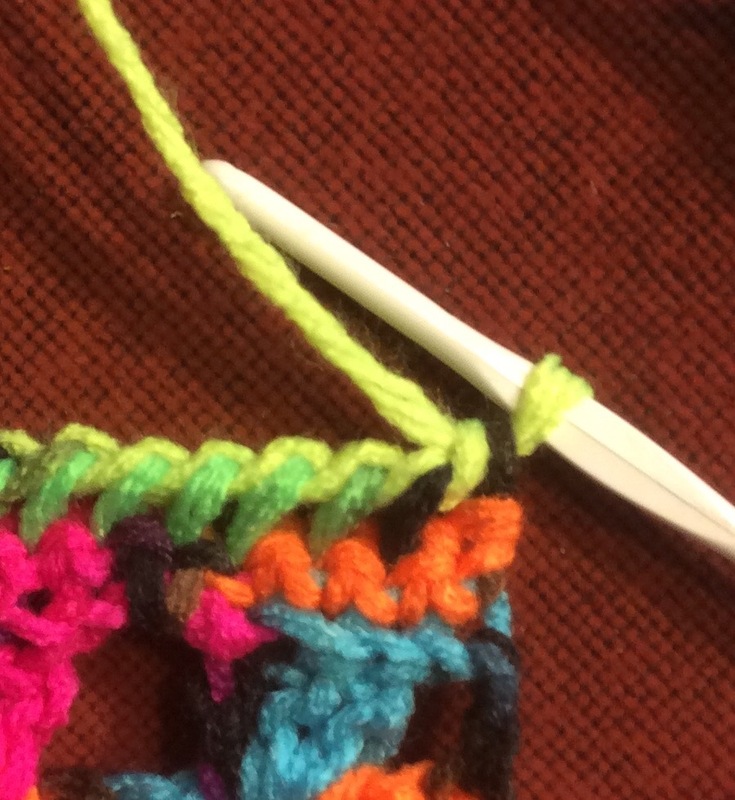 And again….yarn through first loop, then continuously through 2. 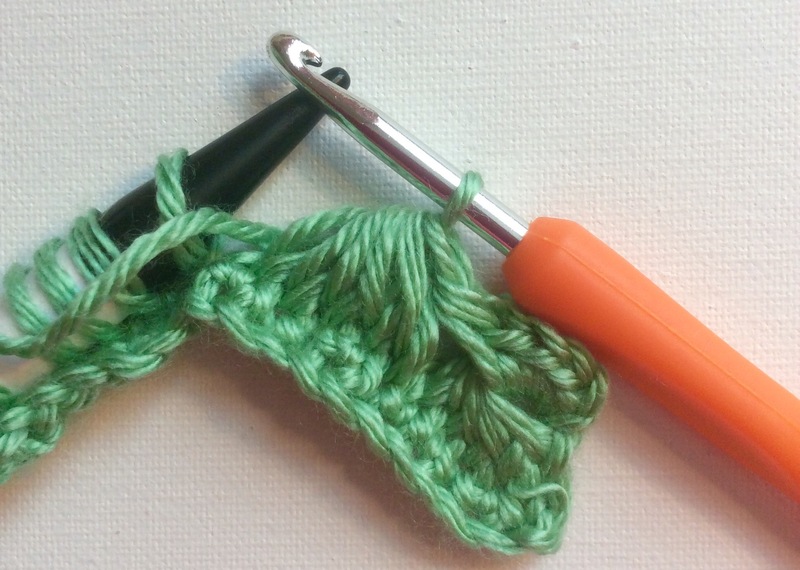 Just go around three sides, picking up both loops of the stitch, and working a single crochet. This is my favorite way to go because the seams lay nice and flat. The first one is the fast shortcut 😏 Another bonus is the comfort. 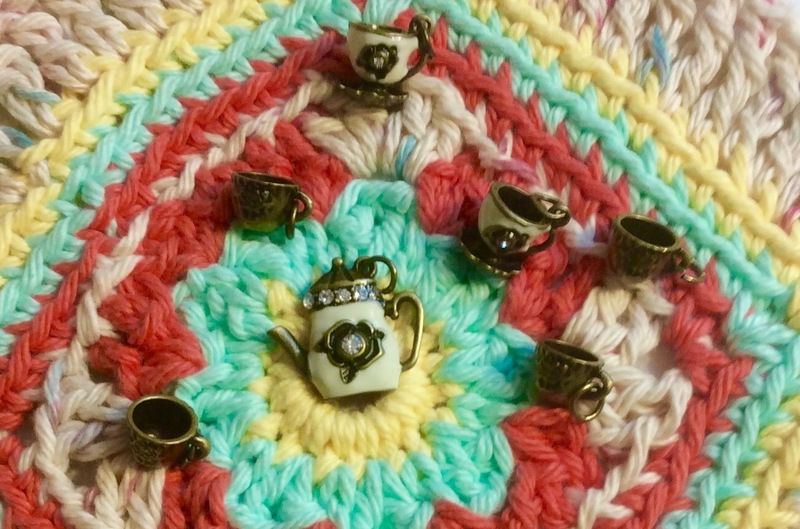 If you’re not too keen on wearing wooly stuff on your skin in the middle of summer 🌞 just sew 2 rings into the seam and you can attach the strap from another purse as needed. 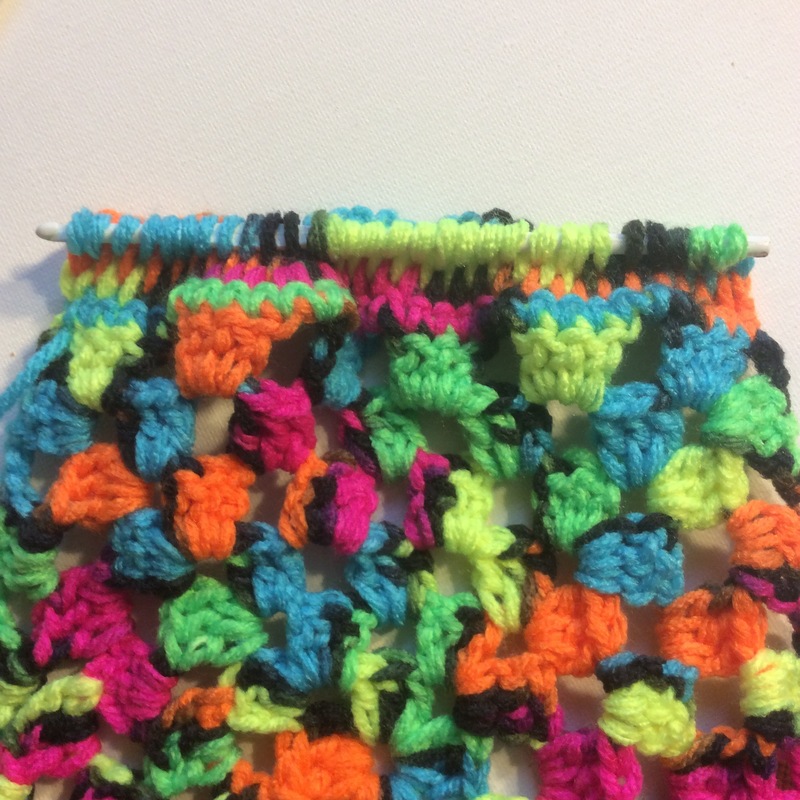 I picked up six ‘vertical bars’ ( just like you did before) and started working the tunesian stitch. Hello my lovely friends 💕 Thank you so much for peeking in today! I did make a change though – it was just a bit too much yellow for my taste. Especially since it’s not a bright lemon-y yellow, but a very pale one. My thought was ‘why not go to the other end of the spectrum…lavender’ 😁 So….back to the store for….green! 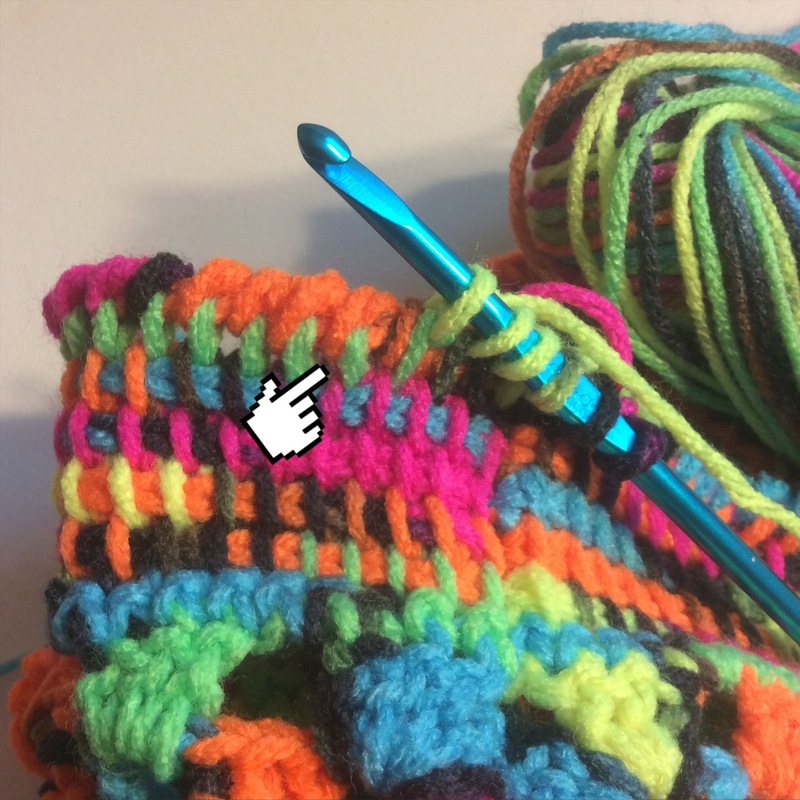 🤣 Silly me thought I found the perfect match to the peacock yarn (the finished square was safely at home 😝). 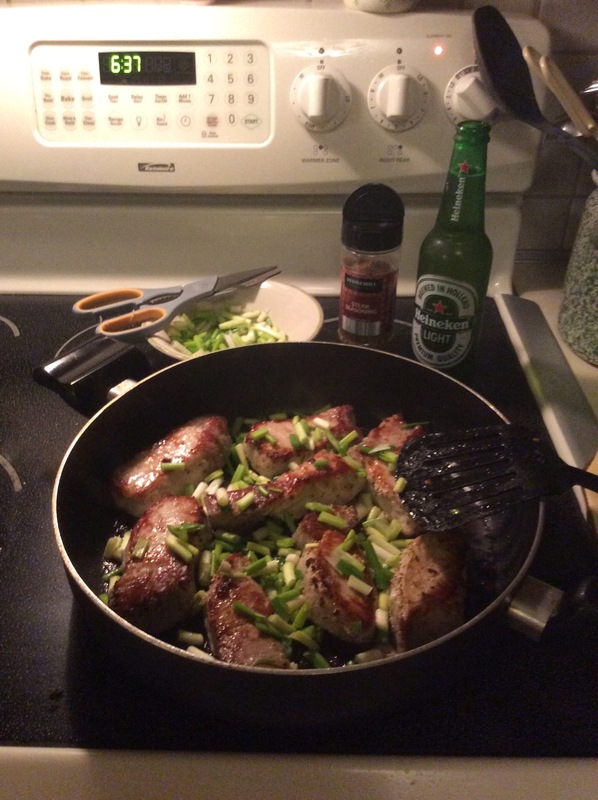 I get it home….yeah – not a good match. At all 😖 Lavender it is. Hello my lovely friends 💕 How very sweet of you to peek in. 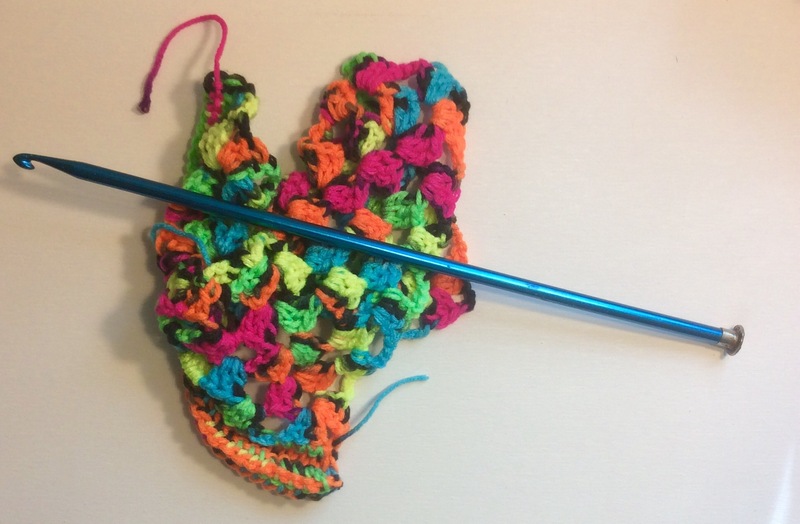 When I crocheted years ago I didn’t really get that deep into it. I knew single, double, treble etc. 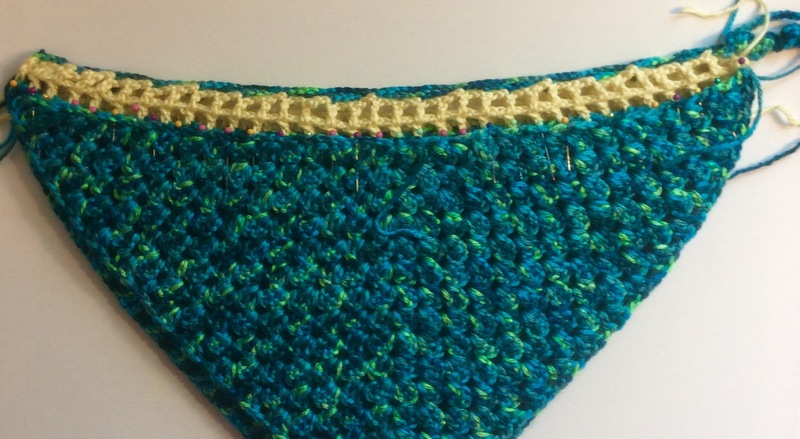 crochet…enough for a dishcloth or a simple scarf. 😁 As I’m re-discovering my love for needlework I do wanna get a little (or a lot 😏) fancier. 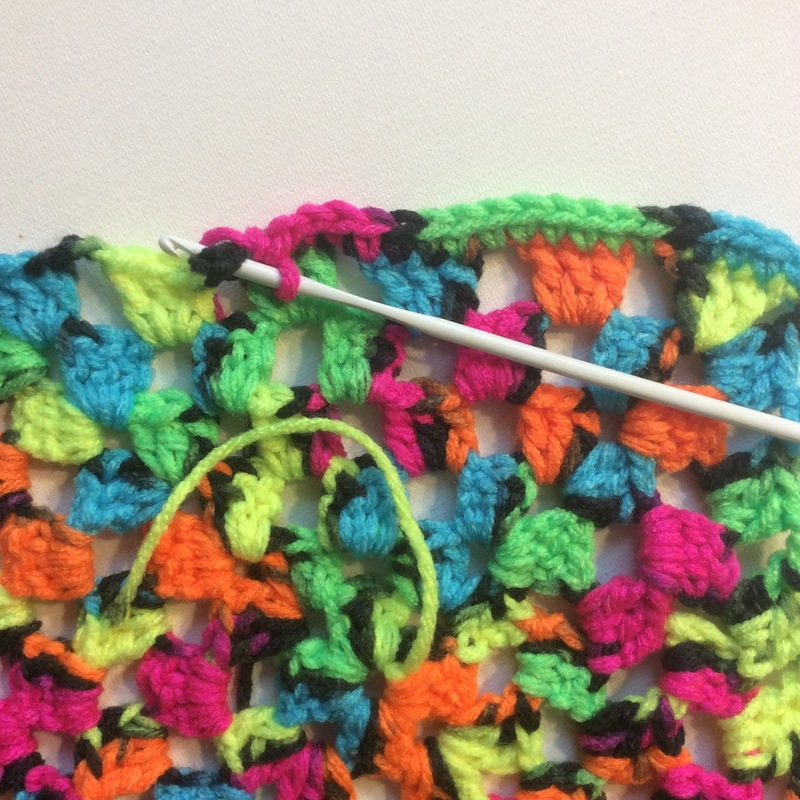 You will need a large knitting needle to assist with this stitch. 1. 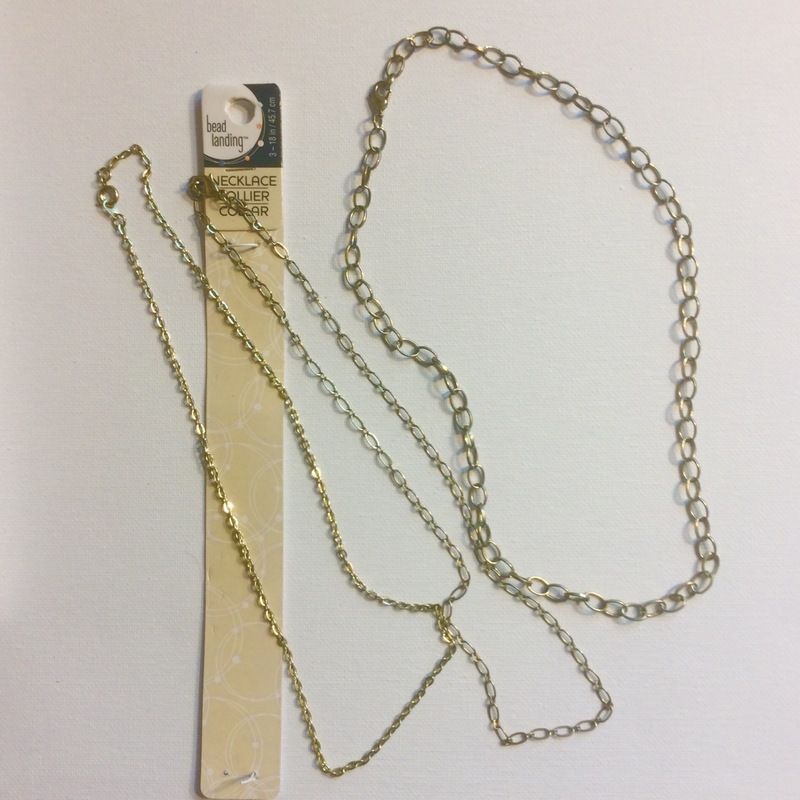 Start with a foundation chain — a multiple of 5 plus 1. 2. Work a row of sc across the chain. 3. 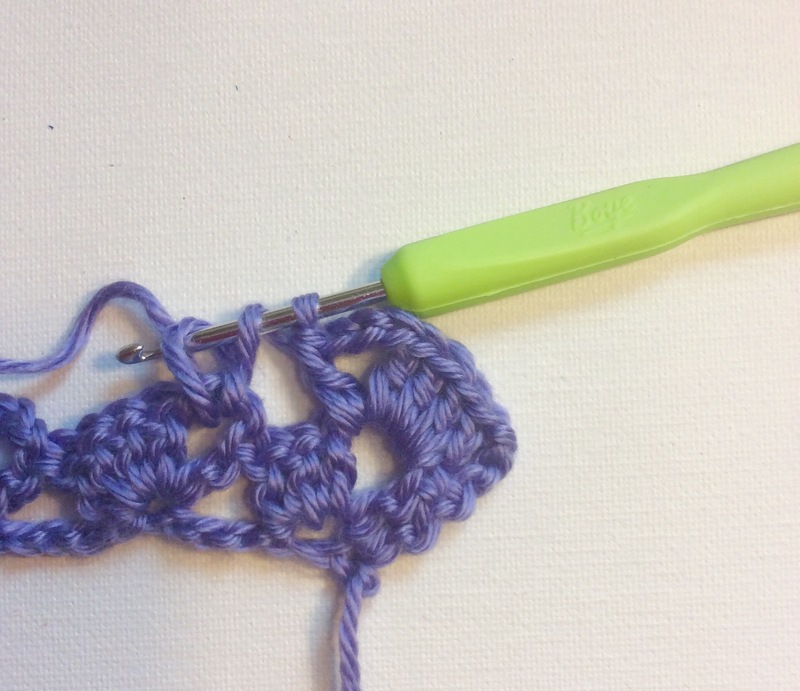 First row of loops — Hold the large knitting needle in your left hand. 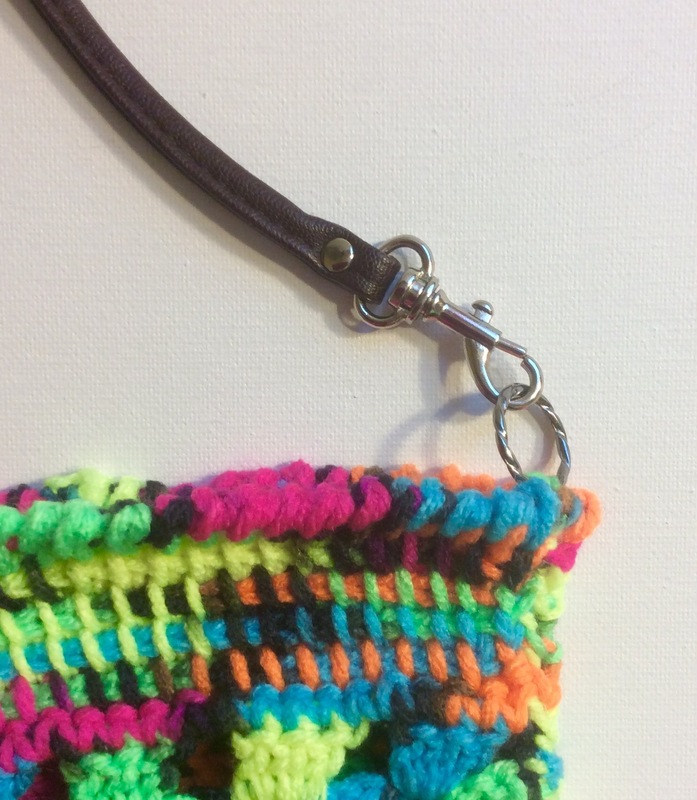 Enlarge the loop on the hook. Slip the loop onto the needle. 4. 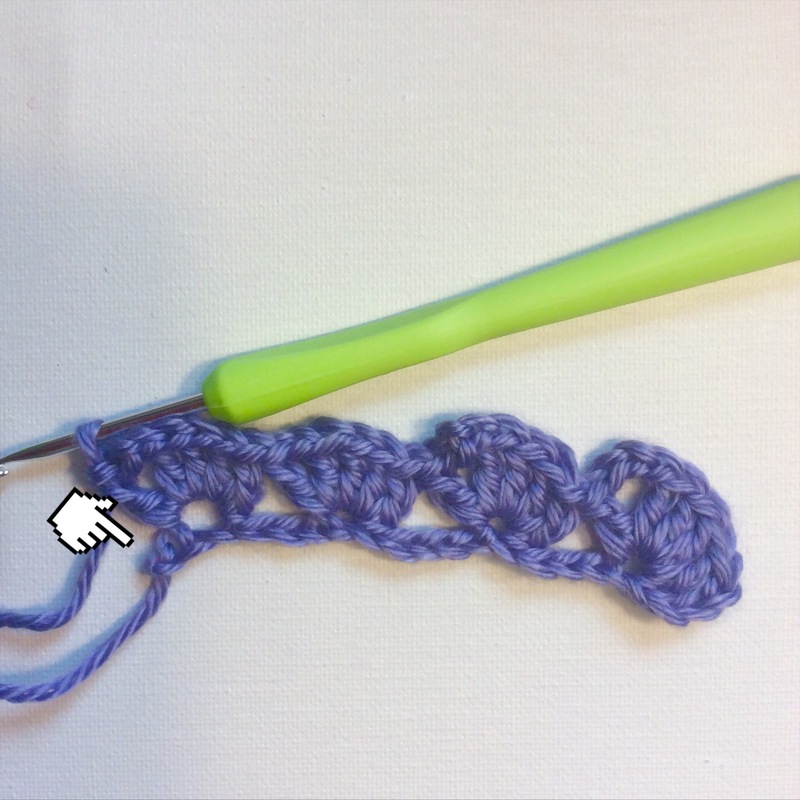 Take the hook through the next stitch of the previous row. 5. 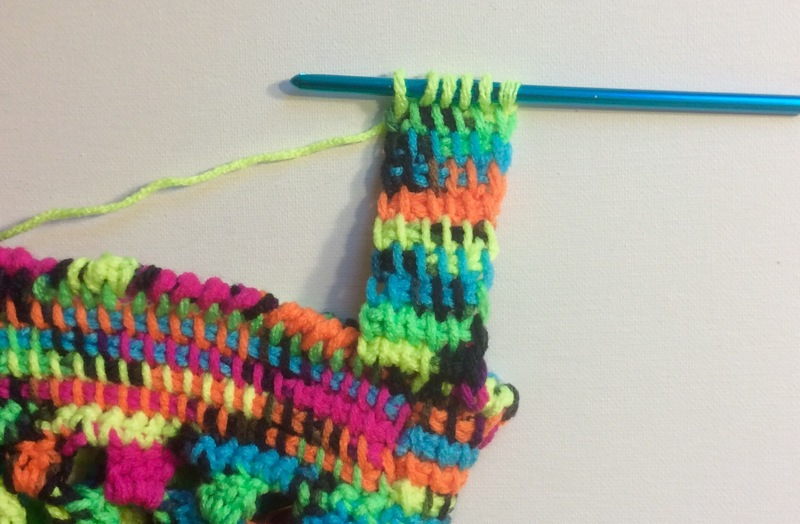 Pick up the yarn as you would for a sc. 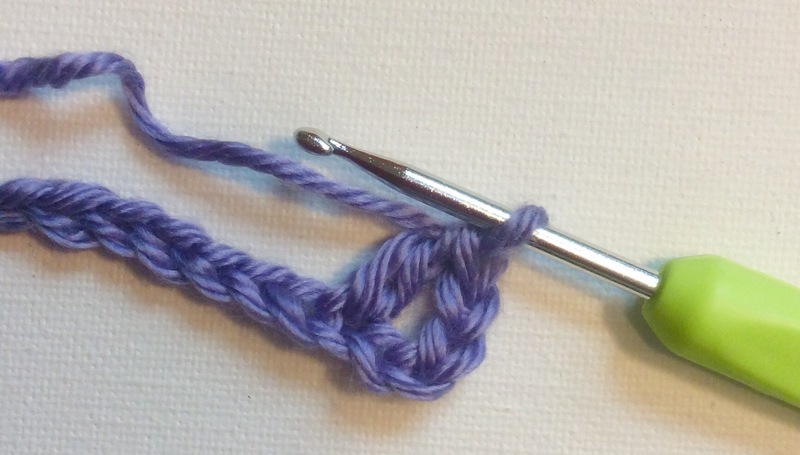 Enlarge the loop and slip it onto the needle. Repeat for the entire row. 6. 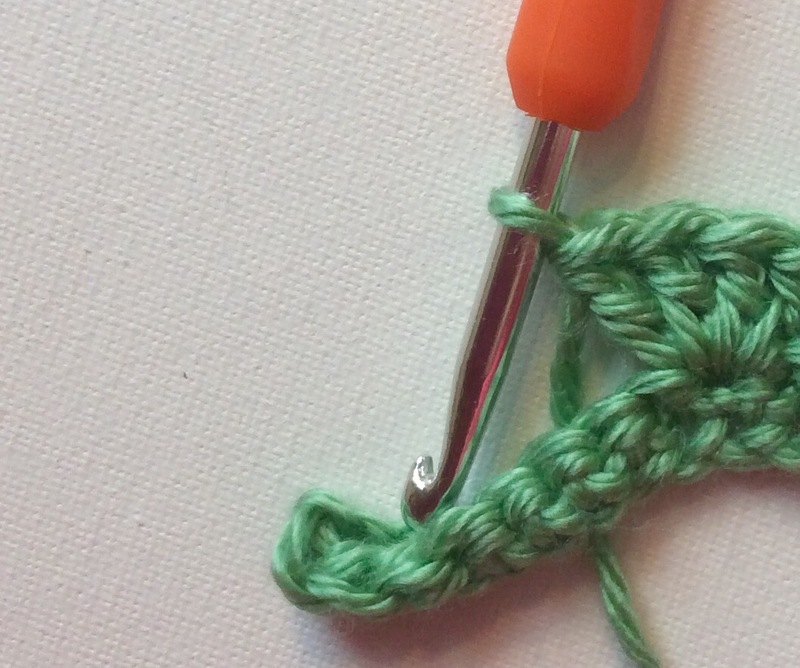 Slip the first 5 loops off the needle onto the hook. 7. 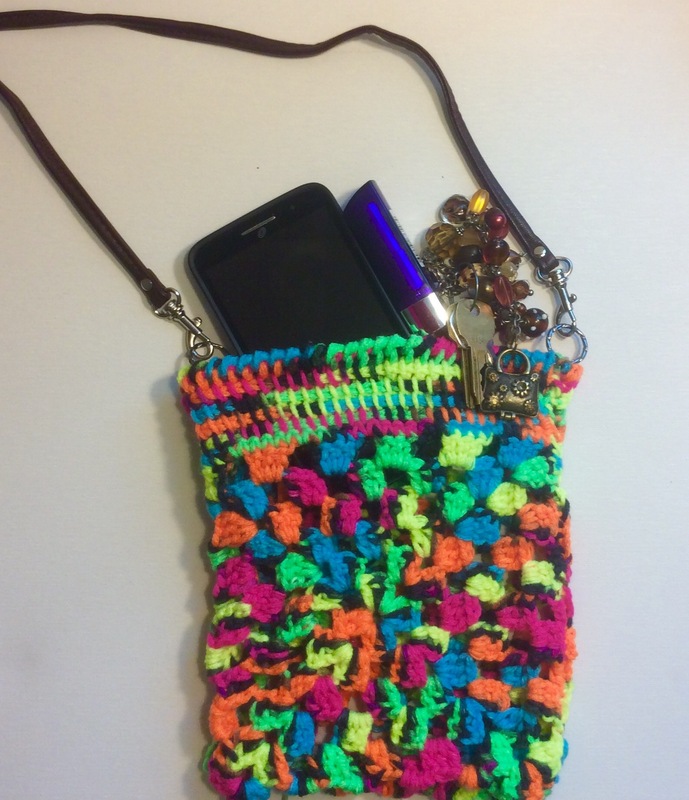 Hook the yarn and pull it through all 5 loops. 8. 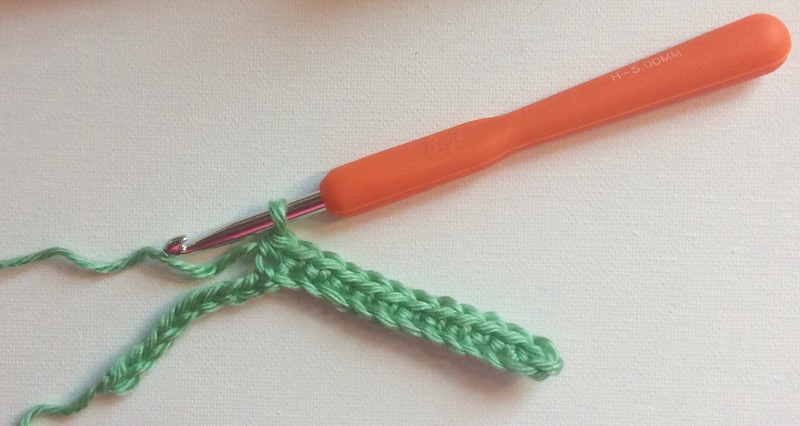 Work a single chain stitch. Guide the hook through all 5 loops each time, work five sc into the group of loops. 9. Repeat for groups of five for the entire row. The II. 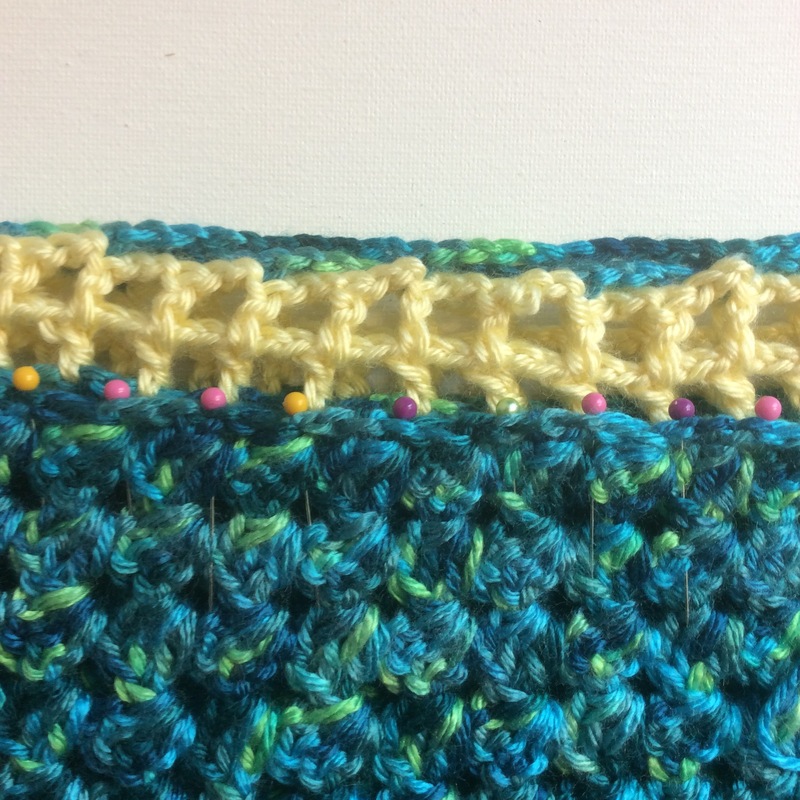 Popcorn Stitch is as cute as it sounds and perfect for accent rows to pep up an otherwise simple design. 1. 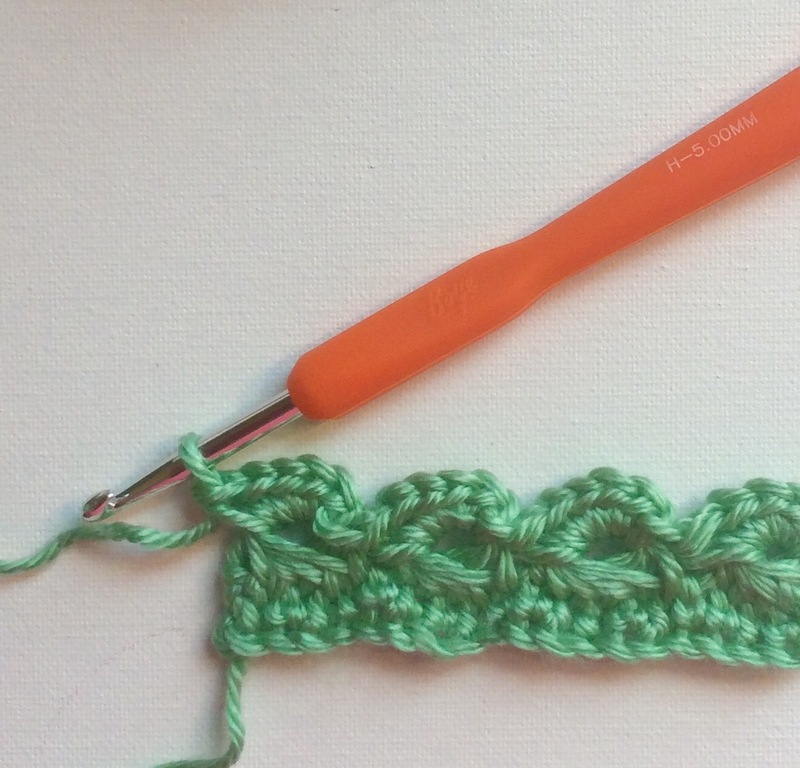 On a right side row work 4 dc into the second stitch from the hook. 2. 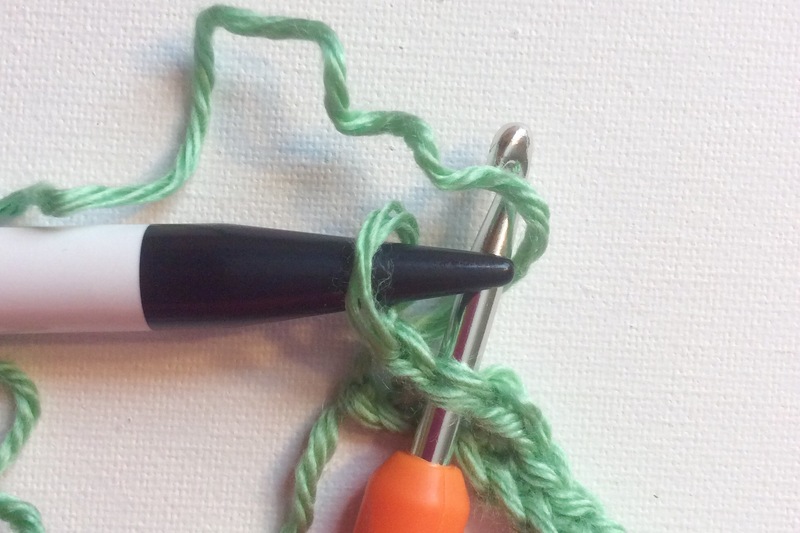 Remove the hook from the loop, insert it through the top of the first dc, and again through the loop. 3. 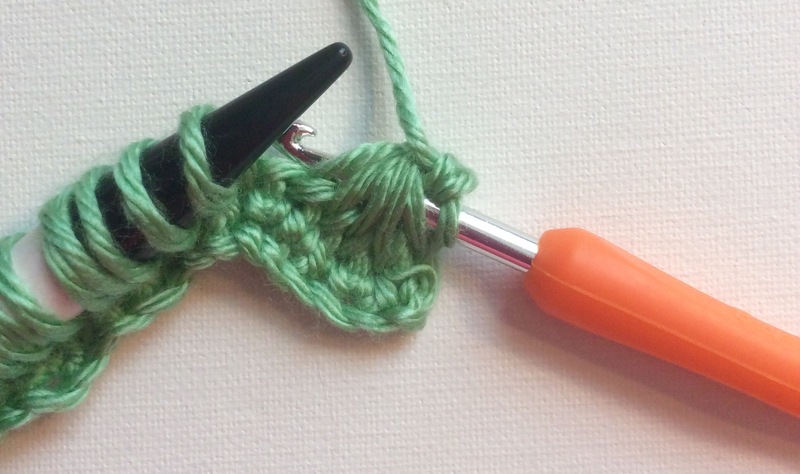 Draw the hook backwards and pull the loop through the dc stitch. 4. 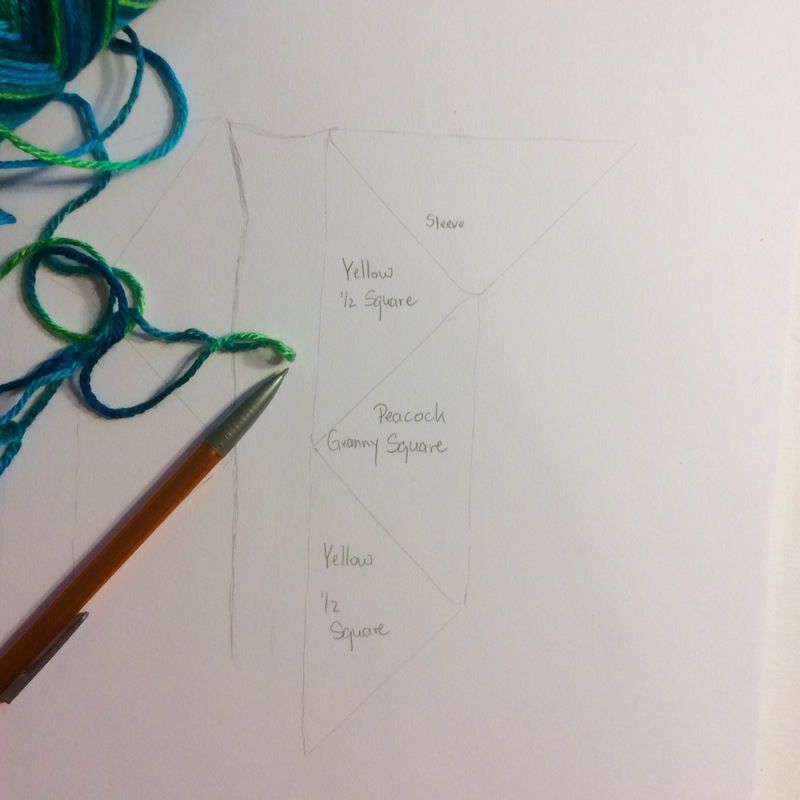 Work a sc into the next stitch. 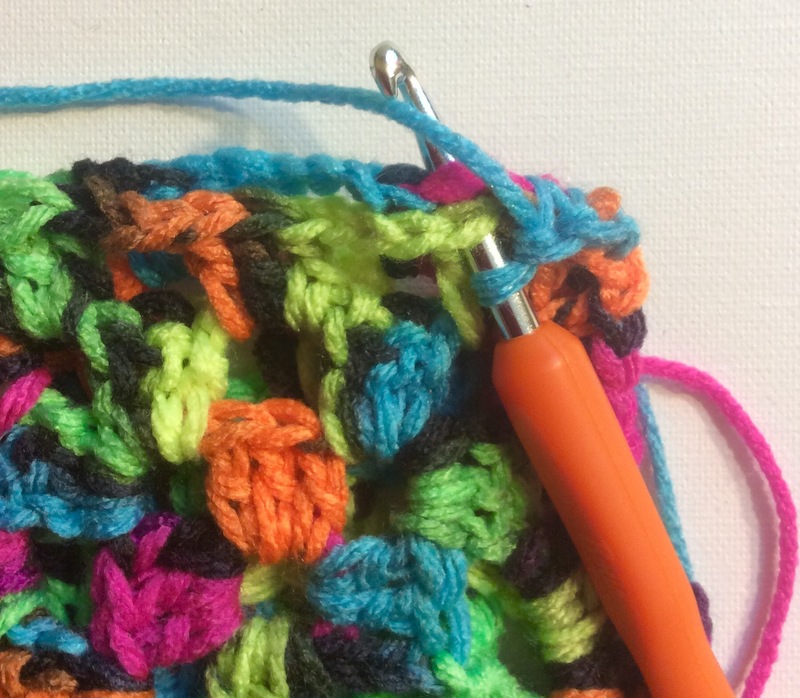 Skip a stitch and start over. Hello my lovely friends 💕 Thanks for peeking in. 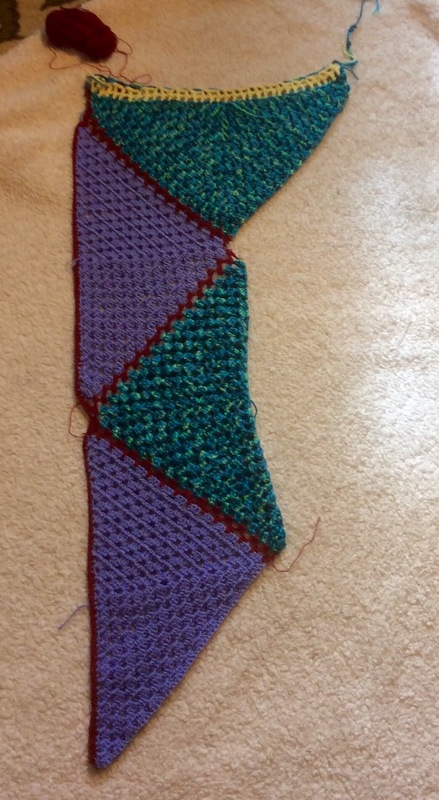 I’ve made a little progress on the ‘Granny Square Cardigan. 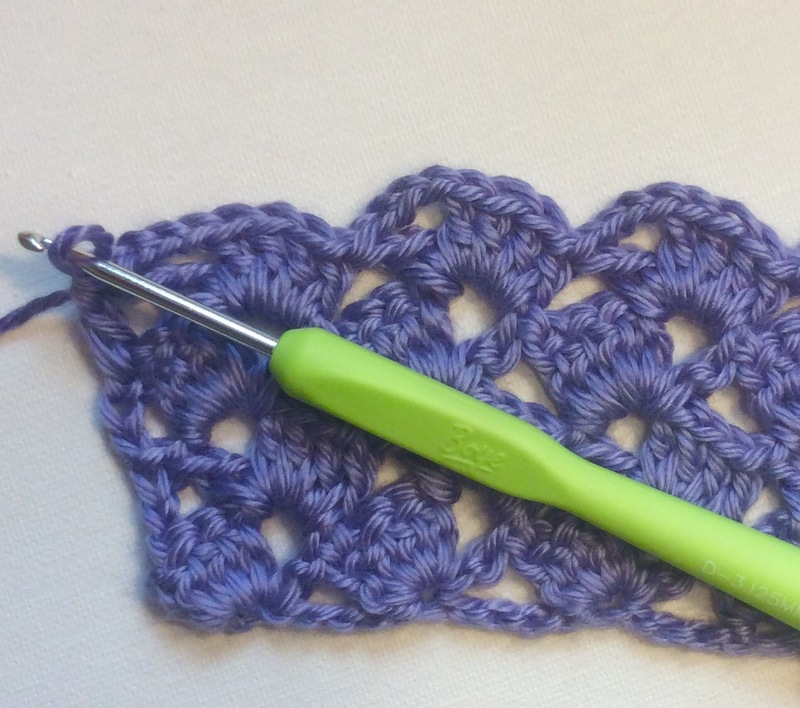 The sleeve design is finished…they’re 2 Granny Square halves, joined with a crocheted mock lace-up. To get the second one to be absolutely identical was a bit of a challenge 😁 See, the number of the yellow squares would not come out the same. The first sleeve has 33 on each side, when I finished the second one I got 32…unravel 😕, next time was 34. Ugh! So I layered the unfinished pieces onto the finished sleeve and marked the entry for the stitches with pins. 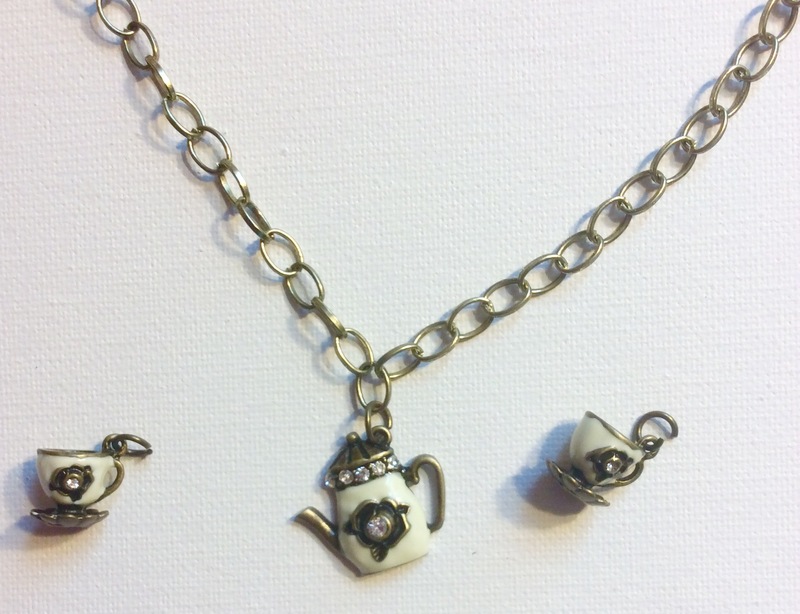 I do like it….the neckline is giving me a little headache though. Any suggestions really are welcomed.